If ska-rockers Egress claim they have the desire to make their rock ‘n’ roll dreams come true, believe ’em. 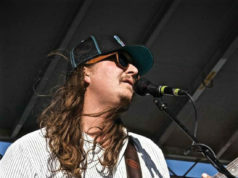 The Arlington-based foursome played about 200 shows nationwide last year in support of a 2007 release, Freshly Squeezed. And with a new booking agent and “brutally honest” new material, “things are finally moving in a proper direction,” said singer Kali Green. He and his bandmates plan on hitting the interstate again this summer as still-idealistic merry pranksters focused on the elusive musical jackpot. LeBlanc met future bassist Bobby Lizsewski when both were working for UPS. They shared an interest in offbeat, reggae-influenced bands such as 311 and Sublime, music that was heavy at heart but funky too. In 2003, Lizsewski was fully on board and had kicked his best friend out of the band to make room for guitarist Terry Davis, whose brother-in-law had been remodeling Lizsewski’s house. Aside from Leblanc’s perfectly timed, dynamic-heavy stickwork, which never changed, the band had migrated into the territory of ska finesse at a time when straight-beat indie rock was all the rage. All that was missing was a frontman. In 2005, Nigel Wheeler, a reporter for the local NBC affiliate, Channel 5, was looking to sing in a band. The reporter, whose full name is Nigel Kali Green Wheeler, had been playing the musical field. Even though he was already in two other bands, he was so drawn to Lizsewski’s laid-back vibe that after the two talked on the telephone he drove to Killeen that same evening to see Egress play live. After a month-long tryout, Green joined forces with the rest of the band to write what would become Freshly Squeezed. In 2007, the quartet traveled to Reno, Nev., to record under the purview of Tom Gordon and David Hauser, who have worked with Dr. Dre, Ozzy Osbourne, and Iron Butterfly. The final product depicts a gang of party playboys — the back cover is a photograph of the dudes pouring lemonade over buxom bikini-clad blondes. But there’s more to the story, as a close listen will reveal. Shortly after the album’s release, Green left his job at Channel Five to fully embody Kali Green and, um, achieve egress. Even though his parents “almost disowned” him, he said, he and the other members gave up any stability they had in life to jam themselves into a van that broke down constantly. They slept in Wal-Mart parking lots throughout 2008. Despite a slew of broken bones, run-ins with police, showers at 24-Hour Fitnesses, car problems, and in-fights befitting a dysfunctional family, the guys in the band say they loved the experience. “We played wherever,” Green said. “Coffee shops, breweries, street corners.” They would hustle and accept any hospitality offered, often settling for food in lieu of cash. The only profit was getting to play their music on an almost-daily basis. 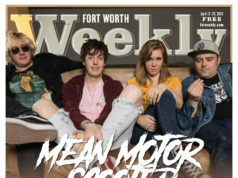 In addition to another round of touring, the Egressers also are focusing on a record label they had created, R&R, which they share with Dallas band Smooth Choppy. For the fourth straight year, they also will headline the Danielle LeBlanc Memorial Benefit for Battered Women, on May 16 at Arlington’s No Frills Grill. The band organizes the event in honor of the drummer’s sister and, to date, has raised more than $30,000 for shelters and foundations.